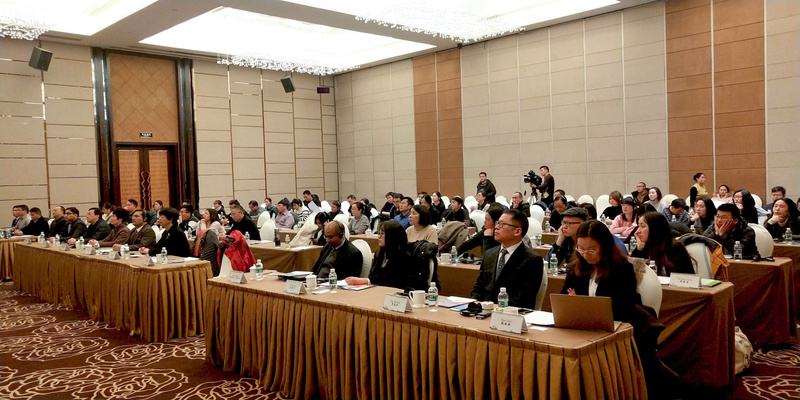 Consulate General of India in Shanghai along with Quzhou Municipal People’s Government jointly organized an India-China (Quzhou) Business and Investment Forum in Quzhou (located in Zhejiang Province) on January 11, 2018. 2. 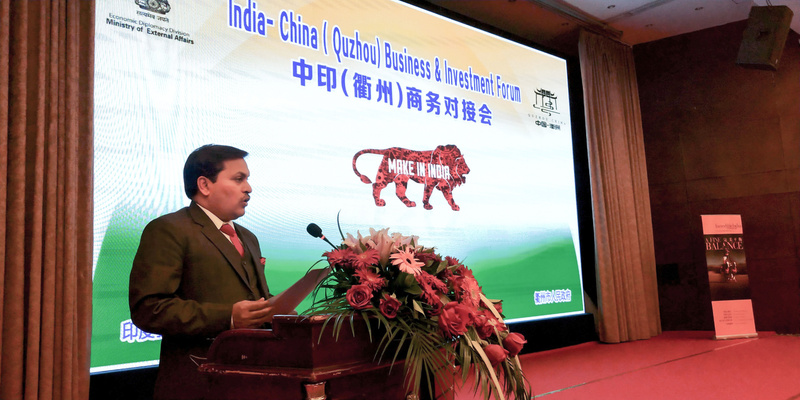 The objective of the Business and Investment Forum was to introduce the investment opportunities available to Chinese companies in India in sectors like infrastructure, urban transportation, smart cities, renewable energy, power, pharmaceuticals and tourism as part of the ‘Make in India’ initiative. 3. 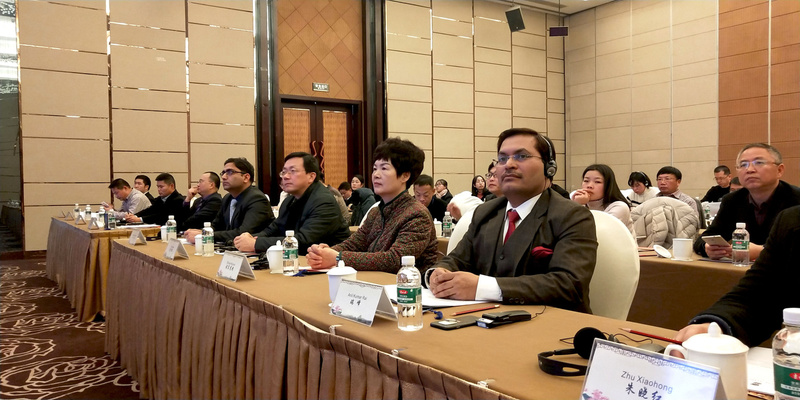 The seminar was attended by the local Municipal leaders, officials and 80 Quzhou based companies together with the Indian delegation led by Consul General comprising of officials from the Consulate, Indian companies and three leading Chinese companies from Zhejiang province which have invested in India. 4. 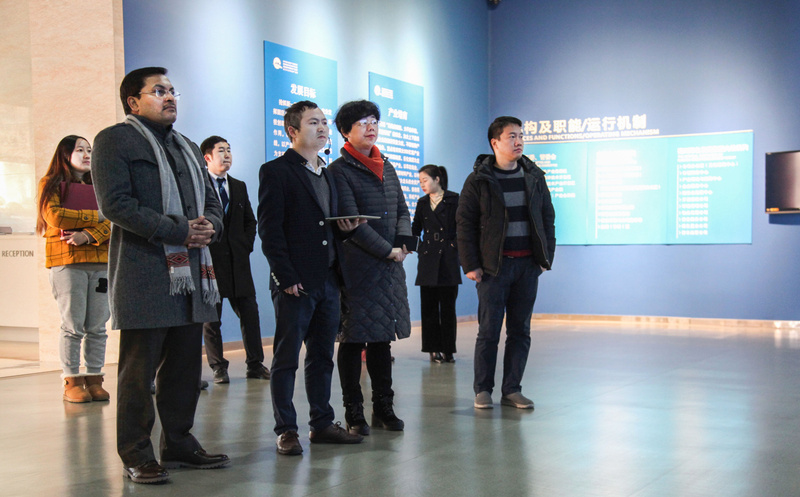 Madame Zhu Ge Huiyan, Vice Chairperson of Quzhou National People’s Congress, in her opening remarks welcomed the Indian delegation and encouraged the participants from Quzhou to take advantage of the seminar and engage in meaningful exchange to promote bilateral trade and people-to-people contact between Quzhou and India. 5. Mr. Anil Kumar Rai, Consul General, in his opening remarks highlighted the opportunities available for the Chinese companies under flagship programmes of Government of India like ‘Make in India’ , ‘Startup India’ and ‘Digital India’ and underscored that recent reforms undertaken by the Government of India had improved India’s ranking in ‘Ease of Doing Business’ in India. Consul General also mentioned that India had now emerged as one of the most open economies in the world for receiving foreign direct investments (FDI), on the back of a host of liberalization measures undertaken recently by the Government. He invited Chinese companies to invest in India taking advantage of favourable policy regime, relatively lower wages, special investment privileges such as tax exemptions, and robust business environment. To elaborate upon the opportunities available for Chinese companies under ‘Make in India’ a presentation was made by Mr. Naveen Kumar, Consul (Commercial) of Consulate General of India in Shanghai. 6. Mr. Dinesh Badgandi, General Manager, Thermax (Zhejiang) Cooling & Heating Engg. Co., Ltd, in his presentation highlighted that India’s rapid growth over last few years had created huge requirements for engineering goods especially in sectors of Power, Energy equipments, Telecom, Automobile, etc. He added that Chinese companies had huge opportunities in promoting Green Technologies across commercial and Industrial applications under the flagship programmes of the Government of India like ‘Make in India’. 7. 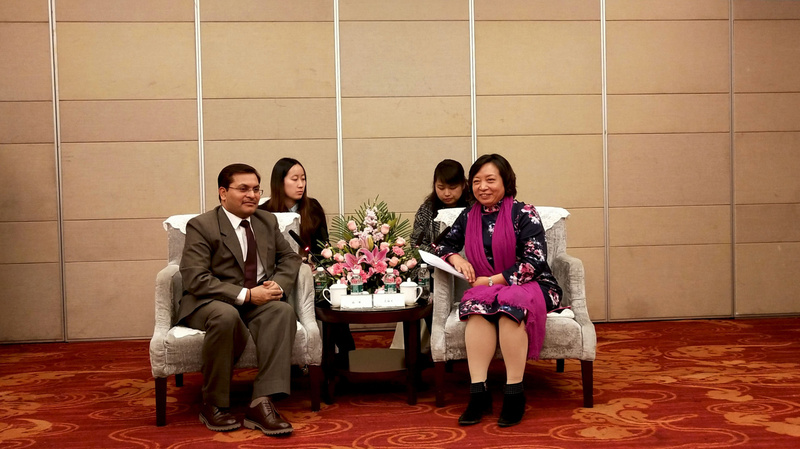 Ms. Zhang Ningyi, senior lawyer from M/s Founder Law Firm elaborated upon the legal frameworks for investment in India and apprised the participants about the common issues that need attention of Chinese investors in India. 8. 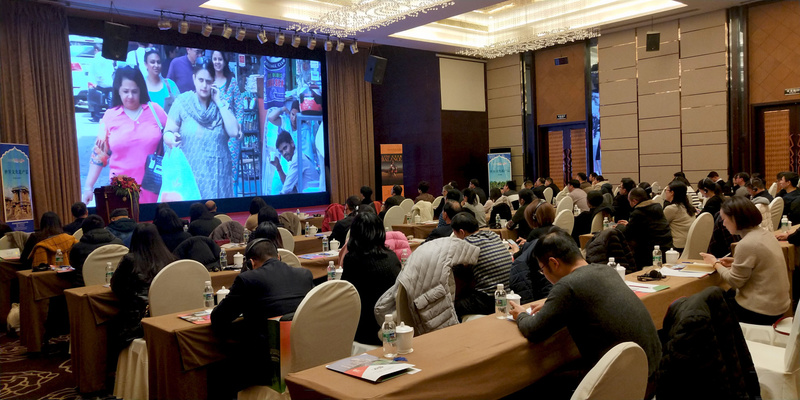 Senior representatives from three leading Chinese companies based in Zhejiang province were invited to share their experiences of investing in India. Mr. George Xia, President, Overseas Investment Department of Wangfeng group, Ms. Qian Liyan, Senior Manager from Supcon Group, and Mr. Chen Yuqing, Vice President and Mr. Xu Mingxing, Regional Manager (India), from the Dahua Technology group elaborated upon their experiences of investing in India and highlighted the opportunities that await the Chinese investors in India. 9. A comprehensive information kit containing pen drive with detailed information on the investment guidelines, state wise profiles, visa guidelines etc. (all in Chinese) was distributed to all the Chinese participating companies. 10. 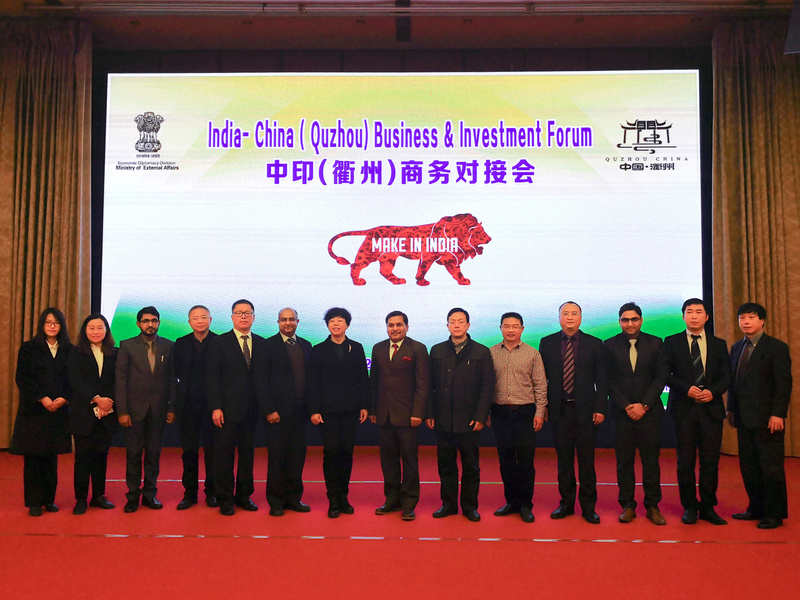 It is expected that as a follow up to the Business Forum, Quzhou city leadership is likely to lead an investors’ delegation to visit India in second half of 2018 to explore tangible investment opportunities under flagship initiatives of the Government like ‘Make in India’, and ‘Smart Cities’. 11. 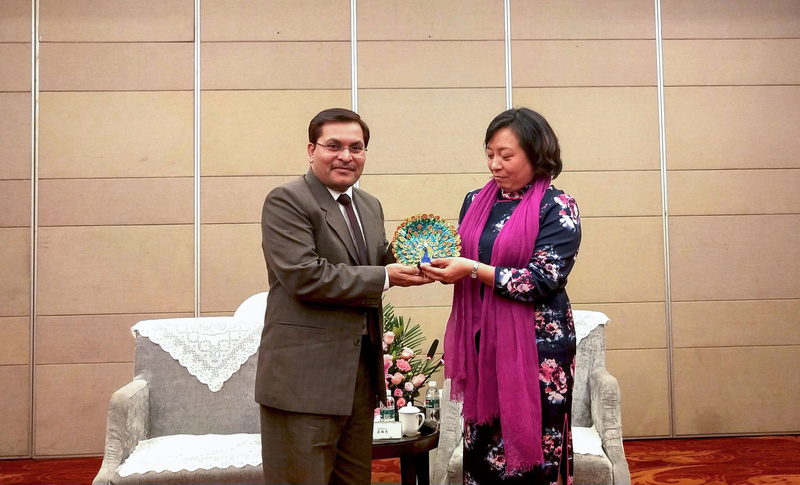 Earlier, Vice-Mayor of Quzhou Ms. Ma Meizhi received the Indian delegation led by Consul General and discussed ways and means to further promote all round economic and cultural cooperation between India and Quzhou. 12. 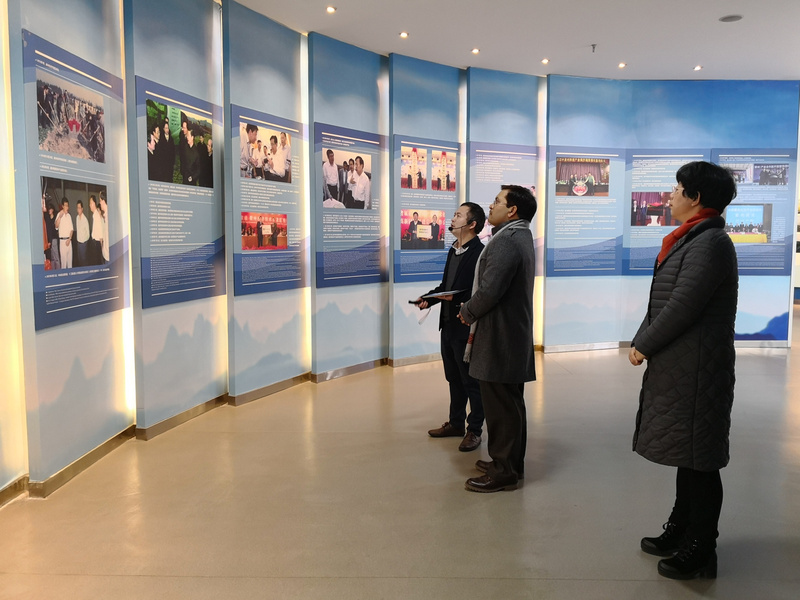 It may be noted that Quzhou (located in Zhejiang) is a key industrial hub thriving on private enterprises, start-ups and key industries like advanced equipment manufacturing, metallurgy, new building materials, and green food.